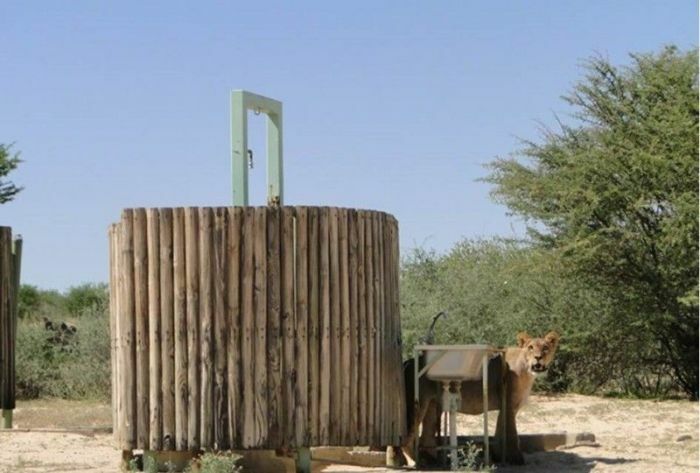 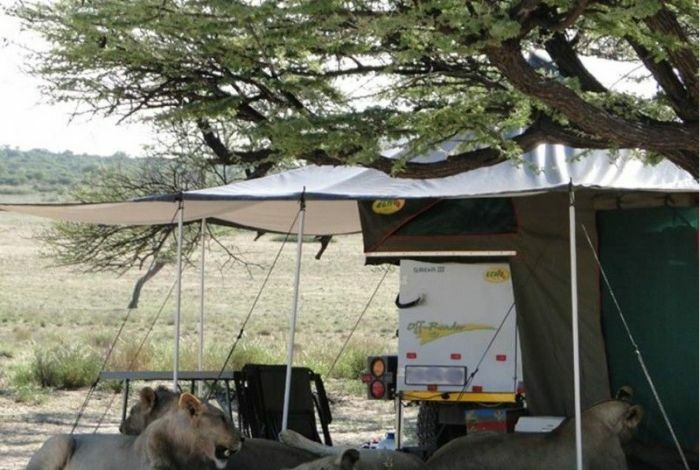 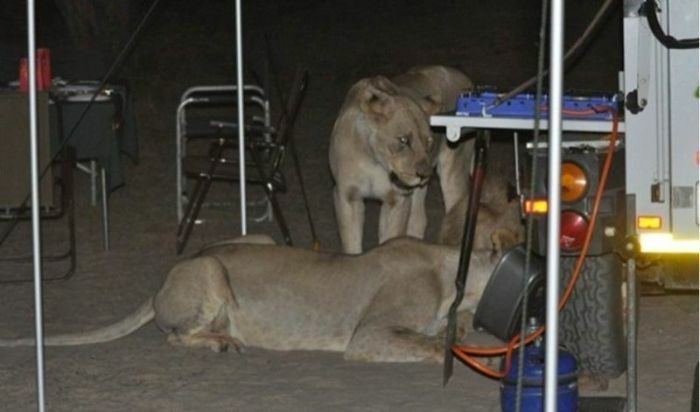 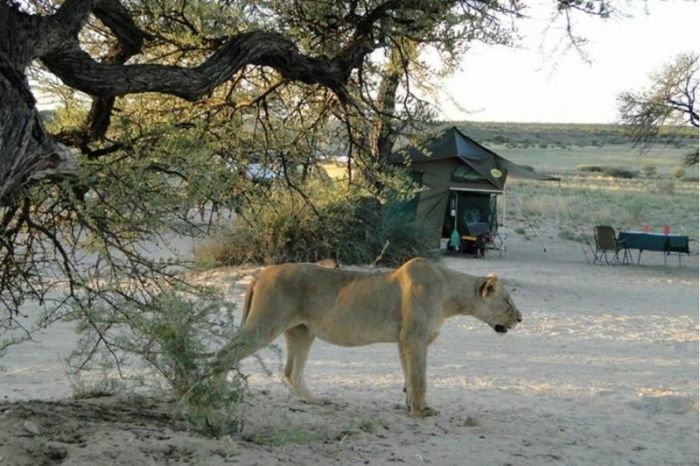 A group of tourists were very surprised when several lions came to their camp looking for food. 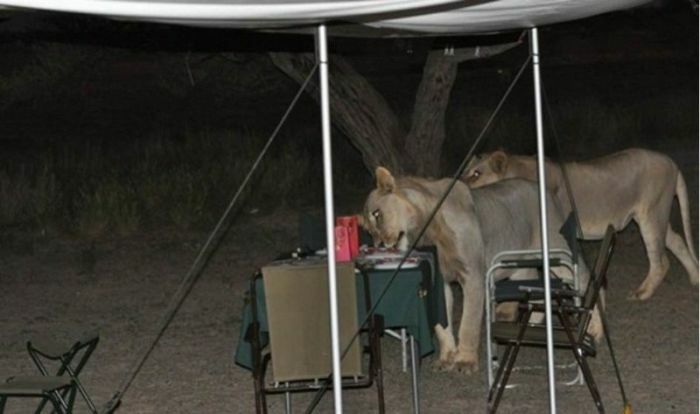 Luckily, the animals were not interested in people. 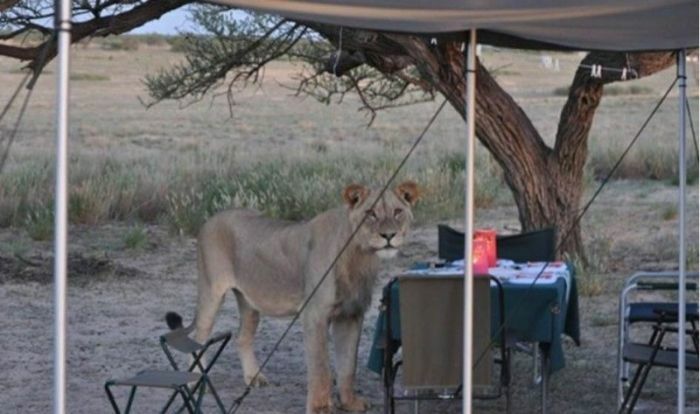 Now that is really getting close to the wild.